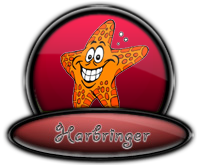 Harbringers are the Elfpack members that, in one way or another, contribute to the existence of the EP Independent. They're listed on this page, along with what they do. The Obsessed [Orestez] - The Leader and Organizer of the Independent. He makes sure all the Harbringers are doing their assigned duties, appoints new Harbringers and retires those who are inactive or not working correctly. If you have any questions, please message [Orestez] or ask in the comment box. 2011-09-09 [EPI Newsroom]: I don't know what you mean Stephen. My name is EPI and I am the Elfpack Newsroom. I felt someone moving in my pages, it woke me up. 2011-09-09 [De'ladrei]: Wah! *ducks behind handily placed chest height wall* Okay who left the set from Gears of War in here?! 2011-09-09 [EPI Newsroom]: Sorry, my bad. In your collective absence I began amusing myself by setting up the Newsroom as a testing area. Be careful of that last step out of the area, it's a bit loose. And by loose I mean apt to plunge you twenty feet down to a fiery death. I've been busy you see, and lonely. So lonely. 2011-11-26 [Orestez]: @stephen, leave it be, I'll get to this soon enough. More important things at the moment. @sammie, if you can give me tangible reasoning and evidence why your opinion should be of value to me as a reviewer than I may consider granting your request. Fair warning though, my standards are high. 2012-01-30 [HeAVenShallBuRN]: Raises hand. "Can I join?"